The IYTTC conducted by UYLS itself is a comprehensive Yoga Course; a unique combination of authentic, ancient Indian classical Yoga with modern technology and gadgets under the inspiring and transforming guidance of International Yoga Guru Pundit Radheshyam Mishra along with world renowned Yoga-Gurus. years. Millions of pilgrims, sadhus & sanyasis (monks & sages), musicians, artisans and all kinds of craftsmen are gathering on the sacred banks of river Kshipra to take the holy dip to wash away all the karmic impurities and to help the soul find its way to freedom to merge in the Supreme Consciousness to get divine peace. It is by far the largest gathering for month long of pilgrims in the world with more than 50 million people embarking on the once in a lifetime spiritual journey on the magical banks of river Kshipra, chanting for the Gods above.Ujjain Yogalife Society (UYLS) is a continuous endeavor to commit self to the universe and feel an unparalleled state of physical, mental and spiritual. Ujjain Yogalife Society (UYLS) is a continuous endeavor to commit self to the universe and feel an unparalleled state of physical, mental and spiritual well being. It brings together some of the most accomplished yoga teachers and yoga enthusiasts. UYLS is a premier institute for teacher training in India offering Registered Yoga Teacher – RYT 200, 300 and RYT 500 courses. Our teacher training programs are accredited with and recognized by Yoga Alliance USA – YA, Council of Yoga Alliance International – CYAI, International Yoga Federation- IYF, and Yoga Alliance International-YAI. We bring about transformational changes, at mental, emotional and physical levels, in our students with hands on training focused on Yoga in-depth, Philosophy of Yoga, body alignment, asanas, meditation and therapeutic healing. Yoga is an ancient technology of personal transformation. Its tools are remarkably simple, and yet, its effects are profound. The true power of yoga lies not in the strength and vitality it gives the physical body (though this is undeniable), but rather in the profoundly positive ways it can change our entire human system. Yoga can refine the mind, clear negative emotions, create positive habits and behaviors, improve our relationships and potentially bring forth profound spiritual experiences. In short, the UYLS Yoga Teacher’s Training not only provides clear, coherent and complete information about yoga, it’s tools, philosophies, and practices, but it will also facilitate the personalized, experiential support necessary to effectively implement this into your life. This training will result in a new you, with a new perspective on life and relationship. It will be a more authentic you; with actual and sustainable behavioral change, developed out of deep, experiential understanding and when it will be your turn to help someone else, you will clearly understand how to do that from a place of authentic knowledge, personal experience and deep knowing. This personal support will hold you throughout the course of the training and beyond. When tailored to the individual needs and capabilities of each person, the tools of yoga can coax tremendous positive transformation out of us. Authentic Yoga Teaching is a practice that has been passed down from one generation to the next for at least several thousand years. It is an ancient discipline, with deep theoretical and practical roots, and there is a rich textual tradition that underlies and explains the practice, its applications, and its meaning. Shri Yogendra) and Hansa Ji from The Yoga Institute, Mumbai, (The oldest Yoga Institution). They are the most influential masters of yoga in modern times. Their knowledge of Yoga, Human Being, Sanskrit and the primary Indian philosophical schools was unrivaled. Yet the main focus of their energy and lifelong work was the study, practice and teaching of therapeutic Yoga for supporting health, healing, and personal transformation. 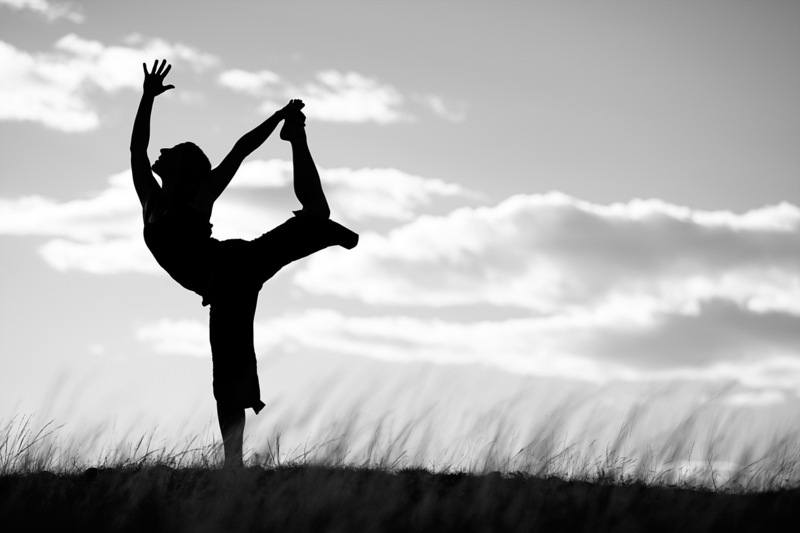 Yoga is a life-long path, which provides ongoing opportunities for learning and refinement. To be a good teacher requires that one must practice what they are teaching. UYLS Teacher’s Training program models this inside and outside the classroom. • Techniques: how to correctly practice the main postures, in classical way. • How to adapt each posture to achieve the proper function of the posture. • How to organize postures into different sequences to achieve different results. Specifically, this involves understanding the physical requirements of each posture as well as the strain each posture puts on the body/mind/breath and how these can be utilized in combination with those other postures. The resulting understanding is an incredibly adaptable system for creating practices. • Definition of prāṇāyāma, what it means, why it’s practiced, etc. • In depth learning of Patañjali’s Yogasūtra. This is the traditional main presentation of how to live the path of yoga. Obviously, a lot of information is presented over the course of the training, but the emphasis is always how to apply the information and how to facilitate the experiences. Yoga is not informational. Yoga is experiential, it must be done, practiced and experienced to be understood and to have an effect on us and thus to change us. The UYLS’s training emphasizes the practical application of yoga and its tools. The training covers not only what the tools are, but how to think about using them, how to understand the way they function (according to the traditional models within which they were created), and how to use them. The result of this process is self-transformation. Gradual, sustainable and meaningful, personal transformation, achieved through the immensely satisfying and interesting path of yoga. These are proven and profound teachings designed to help you, and therefore students, achieve the joy, freedom and health of a person in balance with their most authentic self. Specifically, the UYLS’s Yoga Teacher Training will give participants the coursework, methodology, and hours needed to become a Yoga Alliance RYT-500 yoga teacher (for those who currently hold a Yoga Alliance RYT-200 hour designation, and a Yoga Alliance RYT-200 certification for those who do not). Most importantly, this training can help lead you to become someone who can BE an excellent yoga teacher or yoga therapist, because you’ve done the work and transformed yourself. You will dig through your own patterning, access your own inner resources, and become someone who can lead others down that same path of growth and healing. • Someone interested in deepening their understanding of yoga for their own personal practice and evolution. If you simply enjoy yoga, have seen the effects it’s had on you and want to know more or understand why, then this is also for you! • This training is for those who want to understand the full spectrum of how Yoga can change their live sand those who want grow, heal, and be of service to the world around them. • Graduates will receive Yoga Teacher Certification from the UYLS and will be able to register with Yoga Alliance as a certified teacher. UYLS is also registered with Council for Yoga Accreditation & Affiliations, International Yoga federation and Yoga Alliance International. If you are interested in joining our UYLS’s Yoga Teacher Training programs, please, Apply Online Now. All applicants are interviewed as part of the application process. However, before applying if you would like to talk with us, please contact us by clicking HERE. • Internet References / PDF Books / PPTs etc. • For 200 Hours: Participants with keen desire to know Yoga in-depth for self-transformation and helping the society with better health. • For 300 Hours: Applicants who have already done a 200 hour Yoga Teacher Training Course from any RYS or equivalent from any recognized Yoga School or Diploma from any University. • For 500 Hours – Same as 200 Hours above. study them well before joining. This is a Residential Progressive course in Yoga for One month / 12 days, where the group follows a “Yogic Lifestyle and Routine” prescribed below. Participants not only learn the aforementioned topics but also learn about meals, eating habits, relaxation, behavior and sleep. All this happens in a disciplined environment with the objective that a similar lifestyle can be adopted in one’s daily life and routine going forward, making one’s life healthy, peaceful, and happy. **Note: Daily schedule and content is subject to change because of constant improvement in course structure, Yoga Conference participation and content. You must practice Yoga every day from the date of registration to prepare your body for this extensive course. Upon registration for the course, participants will receive a kit containing Books and CDs.